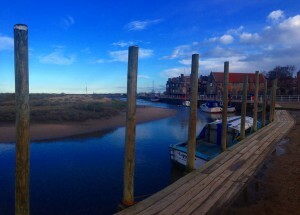 Blakeney is a traditional coastal village located just off the A149 coast road between Sheringham and Wells-next-the-Sea. The village was a thriving commercial seaport up until the early 20th century. The harbour and surrounding marshland is now owned and managed by the National Trust and has been allowed to silt up, allowing only smaller boats access to the sea from the harbour but providing the perfect natural habitat for coastal wildlife. The area is a safe haven for wildlife and is home to around a hundred species of birds and a mixed colony of harbour and grey seals. The grey seals breed over the winter months and in 2015 overtook the Farne Islands in Northumberland as the largest breeding site in England. The harbour or common seals bread during the summer months, so visitors to the area between June and August also get a chance to see seal pups in the wild. Several private boat companies operate seal tours from Blakeney and Moreston Quay and take tourists on trips around Blakeney Point. The seals are very inquisitive and will often swim around the boats to “people spot”. 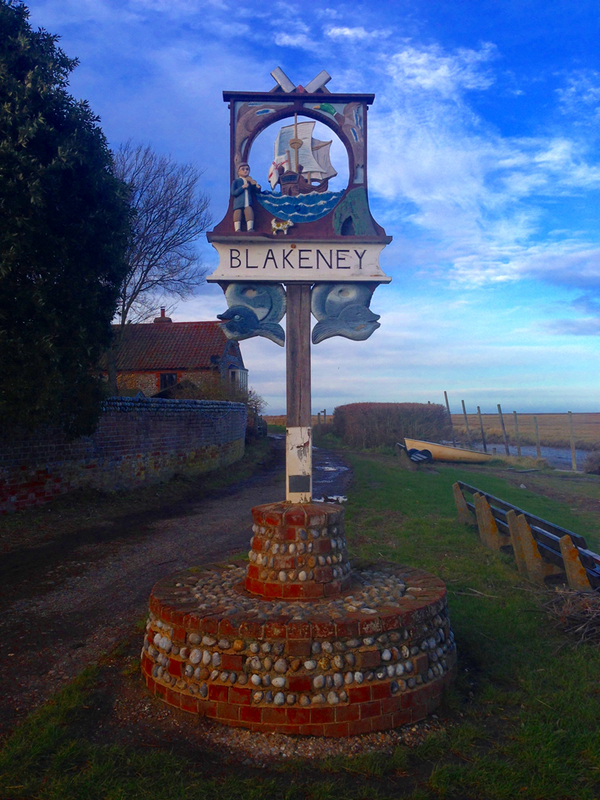 Depending upon the tide and weather you may have the option to land at Blakeney Point. This area is an important breeding ground for migrating birds and sea bird colonies during summer and winter so is the perfect location for a spot of bird spotting. 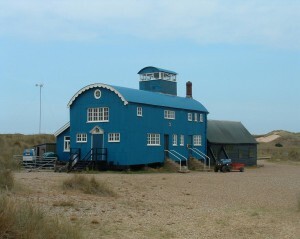 The blue wooden construction on the point is the Old Lifeboat House. This is now a base for wardens and a tourist information centre. There is a pay and display car park next to the quay which is free for National Trust members. The car park is in a tidal area, so check with the car park staff before leaving your vehicle for extended periods! From the car park you can pick up the Norfolk Coastal Path to Stiffkey and Cley. 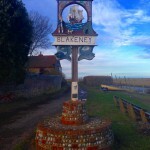 The walk to Cley will take you past the historic Cley Windmilll; a couple of miles walk. The windmill currently offers B&B and self-catering accommodation as well as an intimate candle-lit dining experience for non-residents, though they advise to book in advance. There is plenty to do if you want to stay local. The quayside is the perfect spot for a bit of crabbing. You can pick up a gillie line and a bucket from one of the local shops in the village. Put some bait on the line and see how many crabs you can catch! There are a handful of places to eat out whilst in Blakeney. We usually eat in The Kings Arms. 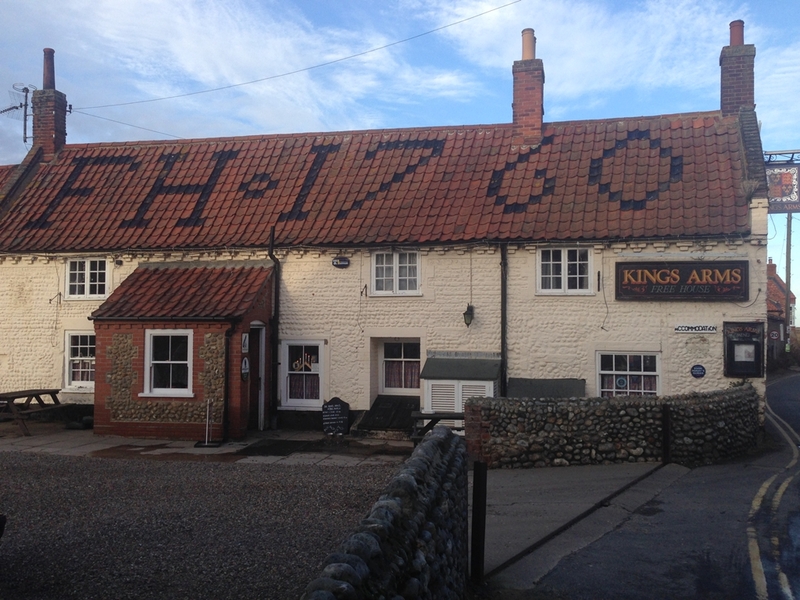 This is a traditional Norfolk pub located near the quay. 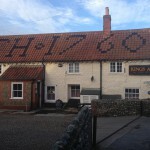 It serves locally caught seafood, has plenty of seating and also offers real ale and lighter bar meals. There is also The White Horse on the side-street opposite the car park. We’ve not tried this pub yet, but it looks very nice from the outside. There is plenty to do in the village with shops to browse, historic buildings to explore, the village church and of course the wonderful flint faced cottages.